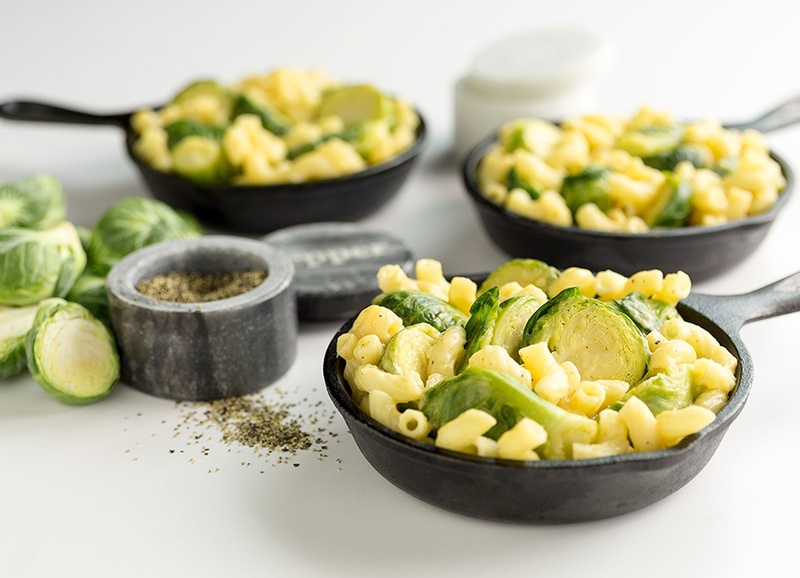 Pour alfredo sauce, cheese, macaroni, nutmeg, garlic salt and water (or chicken broth) directly over the sprouts. Tightly close ziplock and place bag, steam valve side up on microwavable plate to catch any leaks from the added liquid (you may also stand sealed bag up if your microwave is large enough to fit standing bag). Cook on high for 5 minutes or until sprouts are tender according to Season & Steam packaging. Let stand 1 minute in the microwave. Carefully remove bag from microwave and serve.